It is 1957. The author Daphne du Maurier, beautiful, famous, despairing as her marriage falls apart, finds herself haunted by Rebecca, the heroine of her most famous novel, written twenty years earlier. 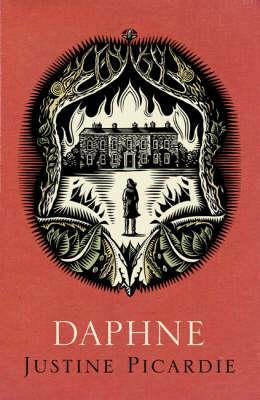 Resolving to write herself out of her misery, Daphne becomes passionately interested in Branwell, the reprobate brother of the Bronte sisters, and begins a correspondence with the enigmatic bibliophile Alex Symington as she researches a biography. But behind Symington's respectable scholarly surface is a slippery character with much to hide, and soon truth and fiction have become indistinguishable.In present-day London, a lonely young woman, newly married after a fleeting courtship with a man considerably older than her, struggles with her PhD thesis. Her husband, still seemingly in thrall to his brilliant, charismatic first wife, is frequently distant and mysterious, and she can't find a way to make this large, imposing house in Hampstead feel like her own. Retreating instead into the comfort of her library, she begins to become absorbed in a fifty-year-old literary mystery. Justine Picardie is the author of If the Spirit Moves You: Life and Love After Death, the novel Wish I May and, most recently, My Mother's Wedding Dress. She is also the co-writer or editor of several other books. She was formerly the features editor of British Vogue and is now a columnist for Harper's Bazaar and the Sunday Telegraph Magazine. She lives in London with her husband and two sons.